Ernest Standingready is a citizen of the Ocean Man Nakota First Nation in Treaty 4 and brings a wealth of knowledge in the area of Treaty Education and Awareness to the bureau. 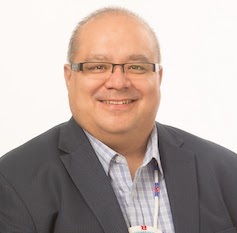 Ernest has completed a Bachelor of Business Administration from the University of Regina, a University Certificate in Project Management from the University of Regina, as well as a University Certificate in Hospitality, Tourism & Gaming Entertainment Management from the First Nations University of Canada. Ernest has served his nation in the past as a Band Councillor and Treaty 4 Headman for the Ocean Man Nakota First Nation, and as a result is fluent in the language and capabilities to engage on many levels of government and non-governmental organizations. Ernest sits various boards and committees as a representative of his Nakota people, and of the Treaty 4 territory. Ernest is committed to enhancing the lives of not only Indigenous Peoples, but non-indigenous as well in the Treaty relationship, and believes in positive cooperative partnerships, and understands the strength it can deliver for everyone.